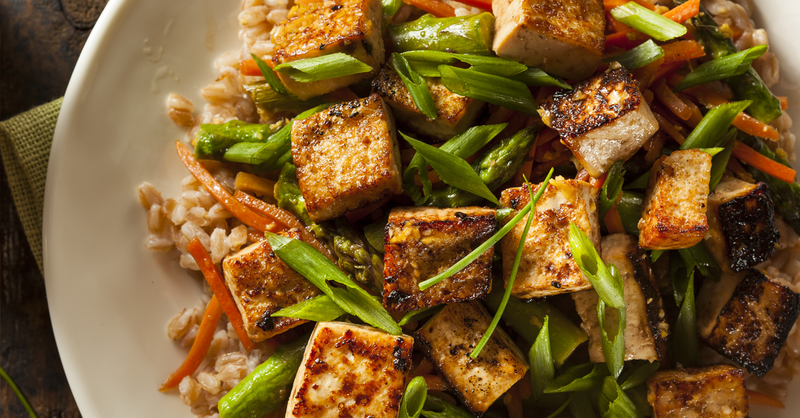 If eating a bowl of edamame and a tofu stir-fry each week could reduce your risk of prostate cancer, would you rethink your feelings about soy? According to a new research review, your answer should be a resounding yes. Researchers at University of Illinois at Urbana-Champaign reviewed 30 studies, involving nearly 267,000 men in all, that specifically looked at the impact of soy foods on prostate health. Their analysis showed that eating soy foods reduces the risk of developing prostate cancer by nearly 30%, and all it takes is a few servings each week. Because some of the studies asked patients to remember what they had eaten (rather than actually tracking what they ate), the suggested amount of soy can’t be given to the ounce. However, researchers did find a clear distinction between the effect of unfermented soy foods, including tofu, soy milk and soybeans, and fermented soy foods such as tempeh, natto and miso. Unfermented soy foods had the most consistent beneficial effect…fermented soy foods neither reduced nor increased risk. No soy food was associated with a greater risk for prostate cancer. Why eating soy may help: Soy contains phytoestrogens, which as their name implies have mild estrogen-like activity. Yes, men (not just women) naturally produce estrogens—and men need estrogens for their prostates to function normally, including fighting off cancer. So, by getting phytoestrogens in your diet, you’re building your natural cancer defenses. If you’ve turned up your nose at soy in the past, it’s time to take another look. A tasty way to develop a fondness for soy starts with snacks, such as having a bowl of edamame (steamed green soybeans—you’ll find them in the freezer case of many stores) and soy “nuts” (roasted soybeans), which look and taste a lot like peanuts. Next, replace some cow’s milk in your diet with unsweetened and unflavored soy milk. An easy swap is in your coffee or tea, working up to cereal. If you cook, substitute soy milk for dairy in recipes. If you naturally like the taste of plain soy milk—as many people do—just drink some! Tofu (soybean curd) comes in soft and firm varieties, and either way, it takes on the flavor of other ingredients in a dish, so if you don’t naturally like tofu, try it in heavily seasoned foods like chili, curry and Asian stir-fries. The caveat: Avoid highly processed soy foods such as soy-based hot dogs and burgers because they tend to contain little soy and lots of salt, fillers and preservatives.